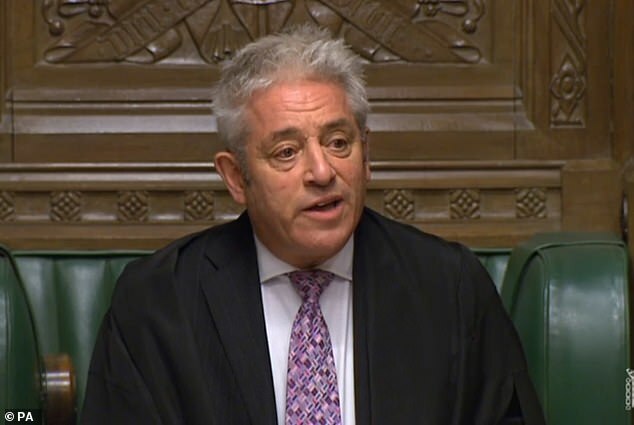 Tensions are rising between ministers and Speaker John Bercow amid anger at his handling of Brexit debates. There are grumblings that the Speaker appears determined to make it as difficult as possible for the government. He has faced jibes over holding back from calling supportive MPs when Theresa May is up before the Commons. There are also complaints about his eagerness to accept amendments that increase the agony for the government. ‘If it’s difficult for us he will call it,’ one ministerial source moaned. Labour MPs have staunchly protected Mr Bercow from repeated attempts by Tories to oust him. In October, Mr Bercow faced criticism over a report that found bullying and sexual harassment at Parliament was ‘tolerated’ by the House authorities. He has angrily denied any personal wrongdoing. But shadow foreign secretary Emily Thornberry said the Speaker should stay in place to oversee the looming Brexit debates. Her words were echoed by Labour MP Dame Margaret Beckett who caused an outcry by saying he should stay because Brexit ‘trumps bad behaviour’. Earlier this week, Leader of the House Andrea Leadsom, who has had a running battle with Mr Bercow, made her irritation clear after he failed to call a single female Tory to take part in a Brexit debate for an hour. The Cabinet minister was left furious after spotting Mr Bercow allowed 56 minutes of questions of Attorney General Geoffrey Cox before a single Tory woman was called. The jibe was the latest in a series of bitter clashes between Mrs Leadsom, leader of the Commons, and Mr Bercow, who is in charge of chairing debates. She is the second female minister to suggest Mr Bercow is sexist while chairing debates. Earlier this year Business Minister Claire Perry wrote to Mr Bercow raising concerns that he looks to have a ‘woman problem’ and urging him to ‘consider his behaviour’. Mr Bercow and Mrs Leadsom have been embroiled in a string of bitter rows. In May this year Mr Bercow was accused of calling Mrs Leadsom a ‘stupid woman’ during an off-mic rant in the Commons. Challenged over his behaviour, he told the Commons he had used the word ‘stupid’ in a ‘muttered aside’ during a row over business scheduling – but he refused to apologise. 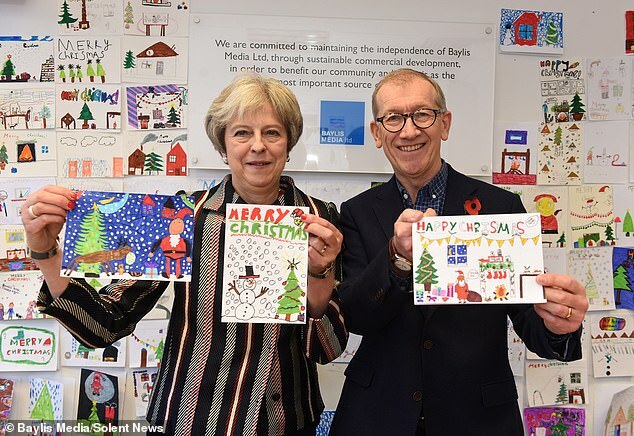 And a fortnight ago he gave Mrs Leadsom an extraordinary ticking off in front of other MPs in the Chamber after growing angry that she was not listening to him. Mr Bercow was answering a question from another MP when he spotted the Cabinet member talking with a colleague on the frontbench. Clearly irritated, he shot the Leader of the Commons a withering look as he demanded that she be quiet while he was speaking. But Mr Bercow became more rattled when he saw that Mrs Leadsom had not fallen to silence at his command. As leader of Commons, Mrs Leadsom is in charge of tackling bullying and sexual harassment in the wake of the ‘sexminster’ scandal which rocked Parliament. Mr Bercow has been personally caught up in the scandal after a number of his former employees accused him of bullying – allegations he strongly denies.